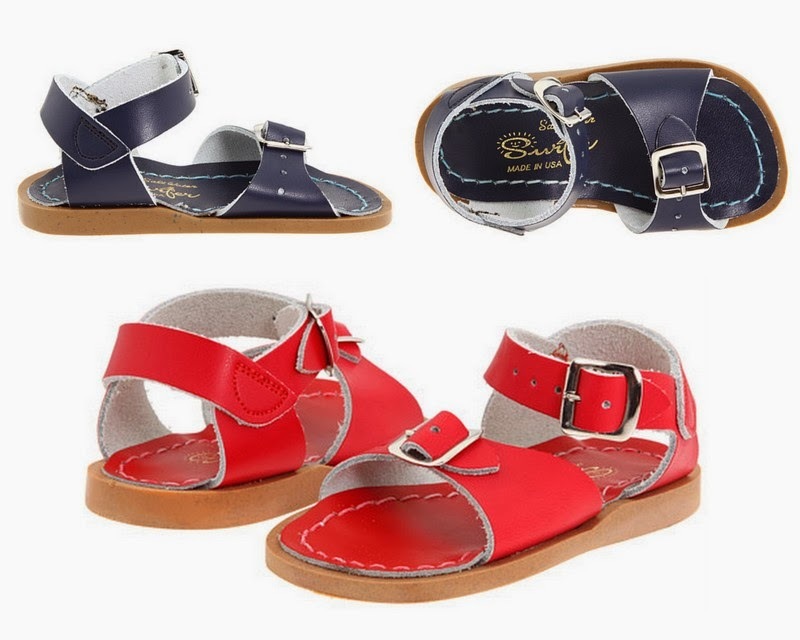 Amazon has some red and navy Salt Water Surfer Sandals marked down to just $18.13 today (about 44% off), with free shipping! Not all sizes are at this low price (they are selling out really, really fast), though the highest price I saw for these two colors was in the $22-$24 range. Still a decent deal for these sandals! The fit is a little long, so you may not want to order up too far. These wear like iron and look good with everything, on both boys and girls. One of the best kids shoes out there for rough (and even wet) summer play. There are several styles and colors available for under $30... find all of Amazon's Salt Water Sandals here .